Every enthusiast of fermented and distilled fruits knows about distillation. However, this process is essential in the petroleum industry as well. The separation process divides the liquids into several "fractions" which differ in their respective boiling points. All fractions, be it with alcoholic beverages or with crude oil, have specific characteristics. To be able to extract specific valuable fractions at particular temperatures, it is necessary to determine the boiling range of a sample. Additionally, the boiling range also reveals information about the purity and quality of the different fractions and the final products. This is precisely what the Diana 700 is designed for. 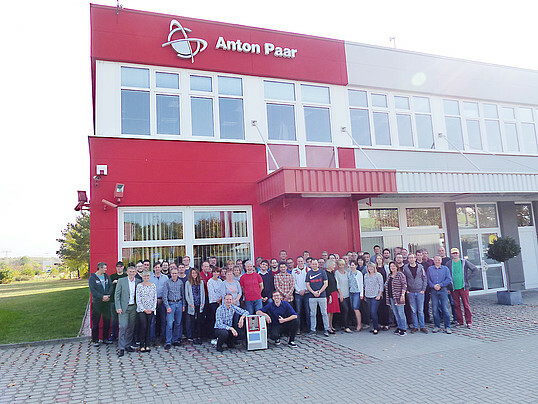 The instrument has been developed and thoroughly tested at Anton Paar ProveTec in Blankenfelde-Mahlow (Germany) throughout several years. Finally, the Diana 700 is now ready for the market launch. The entire company has been involved in this project, and everyone has contributed with enthusiasm towards the completion of this instrument. "Every colleague is talking about the Diana 700 and eagerly awaiting the market launch", reveals the product manager Sören Draffehn. Just as the Roman goddess with the same name, the measuring instrument is ready for the hunt –chasing the boiling range of products in the petroleum and chemical industry. Usually, these products are volatile, i.e., distillable organic-chemical substances. „The atmospheric distillation is a decisive test when trying to maximize the yield from various petroleum products utilizing their boiling ranges,“ says Sören Draffehn. The name of the Roman goddess, by the way, is completely coincidental: In our case, the name Diana is an abbreviation of "distillation analyzer." The operation of this smart and modern measuring instrument is surprisingly simple: All critical methods are pre-configured – the operator can start without having to set any parameters. 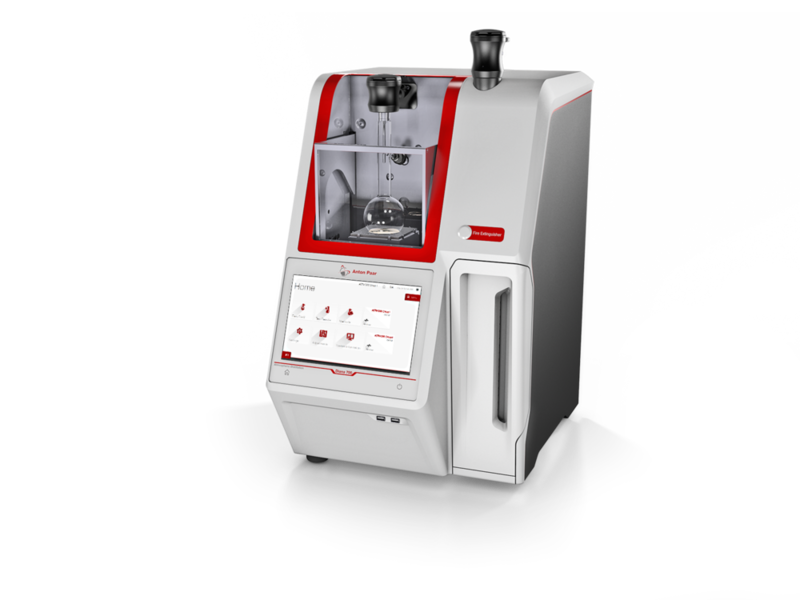 The Diana 700 software guides both beginners as well as advanced users safely through the preparation steps of the distillation preventing any possible user error. After filling 100 mL of a sample into the distillation flask, the flask is sealed with a mobile multi-plug. This multi-plug contains a highly sensitive temperature sensor which measures the vital vapor temperature during the distillation. The distillation flask is inserted into the instrument in one quick movement. Thanks to the extremely quick tempering of all components the measurement can be started immediately. The heater shield closes automatically, and the heater is positioned correctly. The Diana 700 makes sure that the distillation is only initiated when everything has been set following the selected standard. The volume of the distillation recovery is measured using a "contact imaging sensor" which offers precise data on the amount at any specific vapor temperature in real time. The result of the distillation is a boiling range diagram, which shows the boiling points of the different components of a sample. This information can be used, for example, as a basis for the design or the optimization of a crude oil distillation in the petroleum refinery. However, also the final products, such as fuels or solvents, are analyzed using their boiling range to guarantee that they fulfill the stringent requirements of quality control.